I’ve been promising this recipe for over two weeks and now the time just seems right. Yesterday it poured rain all day long, the leaves in our backyard seemed to have changed colors overnight, and the temperatures have dropped significantly. So, what better time to share a comforting recipe that is going to fill your house with warm fall smells that will just make all the cold nastiness of the outdoors melt away? 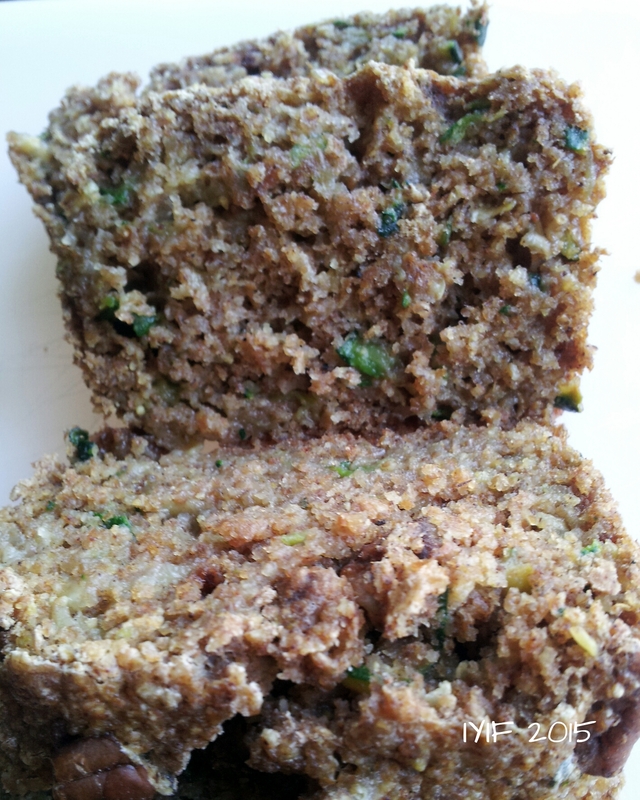 A couple of weeks ago, right before I made my Zucchini Fritters, I made a couple of mini loaves of zucchini bread. I did a few things different than most people. 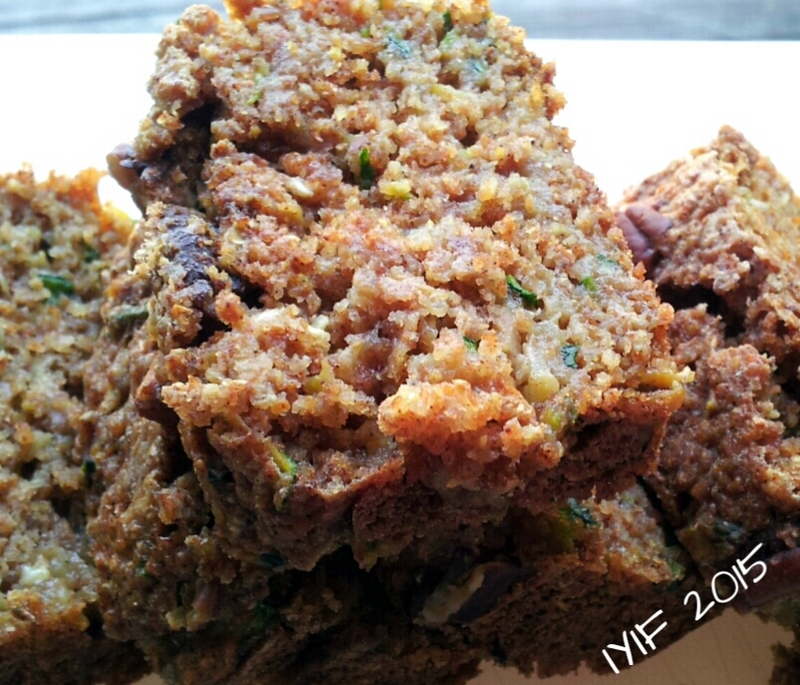 This recipe is refined sugar free, uses stone ground wheat flour, and uses double the amount of zucchini to flour that is normally used in a recipe. I know that some people like their breads, cookies, and cakes super sweet and that is how this recipe turned out. In saying that, if you have a tamer sweet tooth I suggest you reduce the Truvia in this recipe by ¼ or ½, it really depends on you. This recipe only uses boxed egg whites, so feel free to give the batter a little taste before you bake it to see where the sweetness sits. Again, another super easy recipe, that almost makes itself! 😉 Aside from grating the zucchini there really isn’t that much work that goes into these sweet little breads. 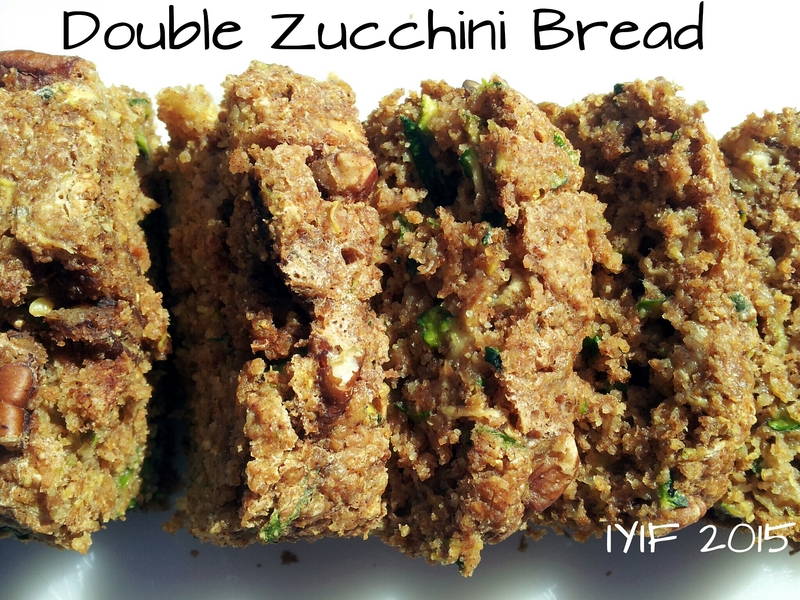 These are softer, and more delicate than most zucchini breads because of the double zucchini. Traditional bread is firmer due to the amount of flour, but I like how fluffy, and moist these loaves turned out. Not a loaf fan? 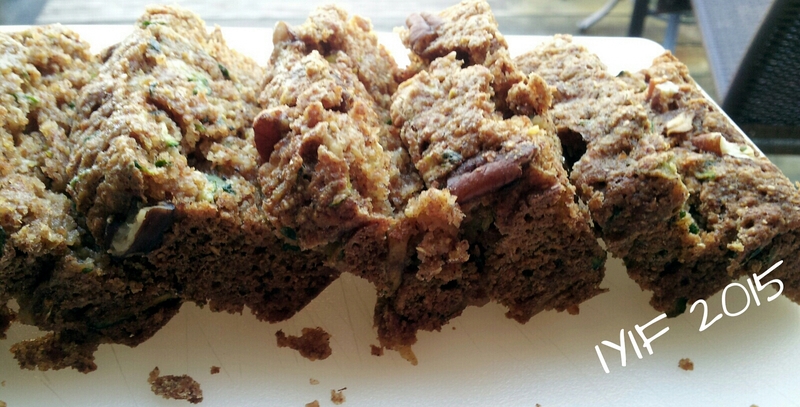 Feel free to spray some muffin tins, mini or regular, and make Double Zucchini Muffins, that would be amazing, and easy to serve, or take along in your lunch! Just whip this recipe up, throw it in the oven, and let the magic happen. (Don’t forget to save your leftover zucchini for fritters 😉 ) Relax and enjoy!